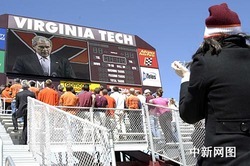 President of The United States of America, George W. Bush is addressing the Virginia Tech crowd at the Convocation ceremony. 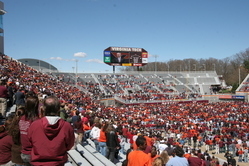 The crowd at the Lane stadium is watching the broadcast of the Virginia Tech President Charles Steger speech at the convocation. 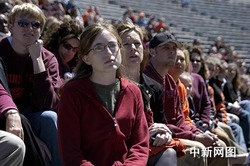 This photo was captured on the football field at the Virginia Tech convocation. 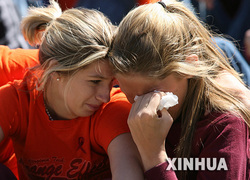 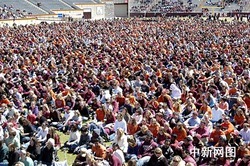 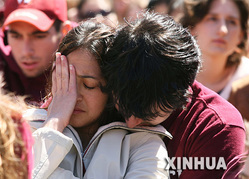 This photo was captured outside the football field at the Virginia Tech convocation. 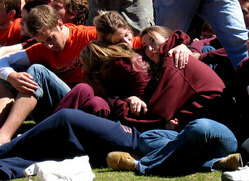 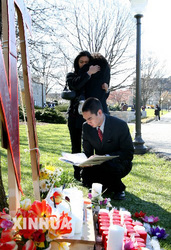 President George W. Bush speaks to Virginia Tech students, faculty, staff, families, and victims of the tragedy. 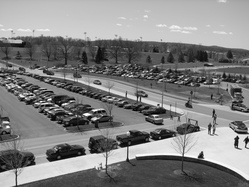 The line waiting to get into the convocation extended from Castle Coliseum to the Huckleberry Trial. 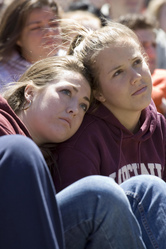 Students comfort each other on the football field during the convocation. 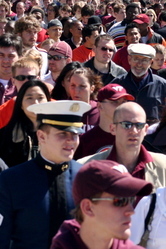 This photo was captured at the Virginia Tech convocation in Lane Stadium. 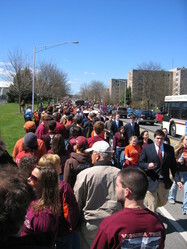 Thousands of people streamed out of the football stadium after the convocation finished. 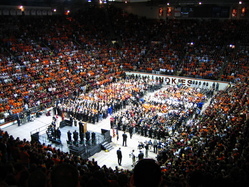 The Corp of Cadets conduct the flag ceremony at the convocation.